What Are My Gas Safety Responsibilities? As a landlord, you will have several responsibilities when it comes to gas safety. If such responsibilities are not fulfilled, you could find yourself in hot water. 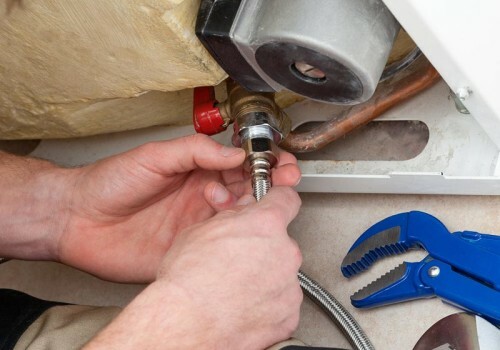 In the latest blog post from EGP Plumbers, we take a look at what your duties are as a landlord and what you can do when it comes to problematic tenants. Check that gas pipework, appliances, chimneys and flues are maintained in a safe condition. Ensure that gas appliances (owned by themselves) checked regularly by a Gas Safe registered engineer. It is a landlords responsibility to make sure that an annual check of all gas appliances and the flue is performed annually. A record of the findings of the gas safety check must be provided to the tenant within 28 days of the check, and landlords must keep a copy of the record for at least two years. Regular checks must be performed to ensure that all gas equipment is maintained in a safe condition. Although there are no formal requirements for records of these checks to be made, landlords will be required to show that regular maintenance has been undertaken. If a tenant refuses to give you access to the property, you must be able to demonstrate that you have taken reasonable to ensure that all gas maintenance work is carried out. Here at EGP Plumbers, we have been providing Gas Safety certificates for rented properties for many years. With our wealth of experience, we can carry out comprehensive checks of your gas appliances to make sure they are legally safe. We’ll then supply you with a certificate to prove that you are fully covered. For more information on our wide range of services, please contact us today on 0116 264 5115. Alternatively, use our online enquiry form and we’ll get back to you shortly.